I’ve always had a passion for the music of Edward Elgar, and living in Worcestershire where he was born there are clearly many others who share this enthusiasm. So on a sunny Saturday we decided it was time we visited the Elgar Birthplace Museum, in Broadheath not far from Worcester. 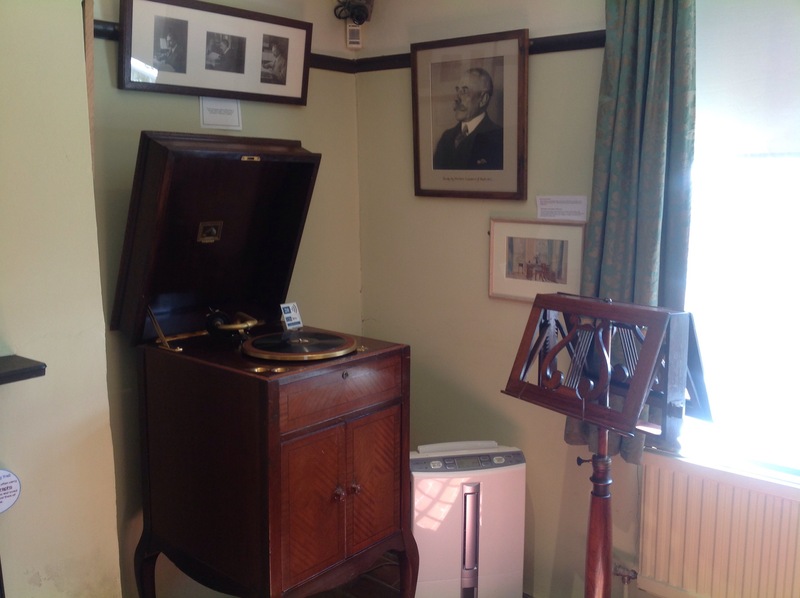 In addition to the picturesque cottage where Elgar was born in 1857, there is now a visitor centre containing items belonging to Elgar, including a drum he had as a child, his violin, and several manuscripts. (An excellent audio guide accompanies this, though due to having a three-year-old with me I didn’t get to listen to all of it! 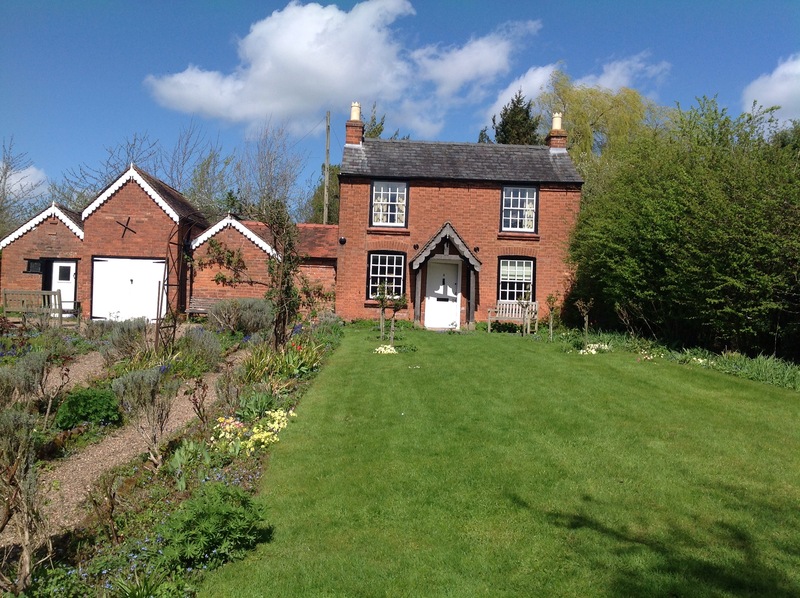 )Though the Elgar family lived there for less than three years after the birth of Edward, the composer visited the village frequently, often staying on a local farm, and retained a deep affection for the place throughout his life. 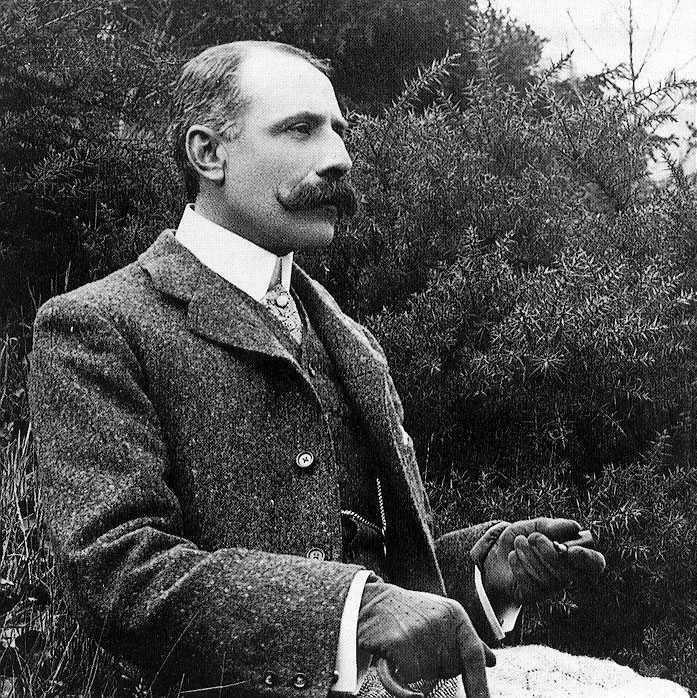 His family owned a music shop in Worcester, where the young Elgar learned a great deal about music, composition and playing, and became determined to follow a career in music. So you have been to Broadheath. I fear you did not find the cottage – it is nearer the clump of Scotch firs – I can smell them now – in the hot sun. Oh! how cruel that I was not there – there’s nothing between that infancy & now and I want to see it. The cottage, then, is a tranquil spot, with a beautiful cottage garden as well as the Jubilee Family Garden, where my son happily played the outdoor instruments for a while. The cottage itself is fascinating as a period piece, even aside from its illustrious connections; quite small, perhaps, for a growing family, but a perfect example of its time and filled with objects which both make it feel like a family home – some furniture, for example, including curtains which once hung in other houses Elgar lived in – and also a piano from the Elgar music shop, as well as Elgar’s HMV gramophone. I was interested to see the range of hobbies Elgar pursued as a man – as well as being an avid reader, he played golf, cycled, did woodwork, and pursued chemistry; his friend W H Reed said that Elgar used to ‘ease the burden of his destiny as a composer by pretending to be a chemist’! I also found a Pre-Raphaelite connection which intrigued me: Elgar’s friend (to whom the letter quoted above was written), Alice, Lady Stuart of Wortley, was the daughter of Pre-Raphaelite painter John Everett Millais. Alice was a close friend of the composer and influenced and inspired his compositions, particularly the 1910 violin concerto, ‘Windflower’. 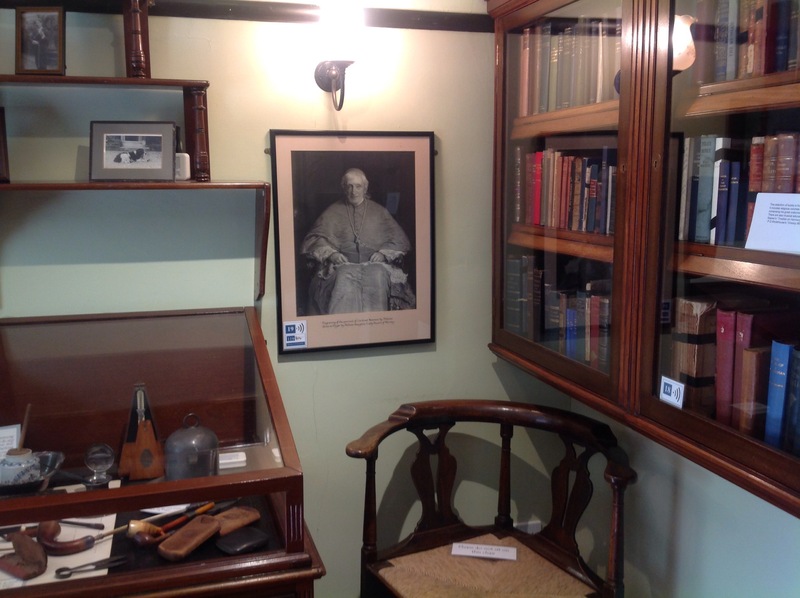 In the house hangs an engraving of Millais’s portrait of John Henry Newman, whose poem ‘The Dream of Gerontius’ was orchestrated by Elgar; the engraving was given to Elgar by Alice. I’m always drawn to places where people whose work I love were born, or lived; this is no exception. Though many of the rooms of the cottage contain exhibition items rather than furniture, somehow there is still a lovely sense of it as a home, and from all the windows the views remind me of the beauty of the county. There is a room guide with information about each room and its exhibits on the website if you’re interested, and I recommend the Museum for a visit! In the month of his 150th Birthday, I gave a number of assemblies in school about Elgar. One of the photos I used is my favourite because he was a keen cyclist and enthusiastic football supporter. He thought nothing a cycling many miles to see his beloved Wolverhampton Wanderers. Anyway the photo shows Elgar and bicycle – clearly the most precious thing in his life – with Alice put way behind the gate! I’ll e-mail it to you.